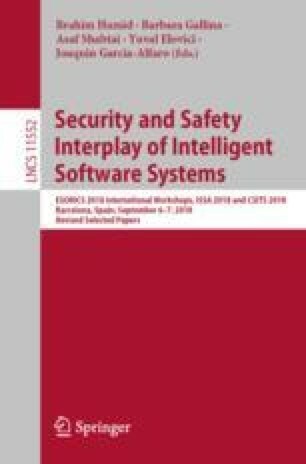 In this paper, we report findings from an exploratory study concerning the security of 15 different wireless technologies used in aviation. 242 aviation professionals and experts from 24 different countries completed an on-line questionnaire about their use and perceptions of each of these technologies. We examine the respondents’ familiarity with and reliance on each technology, with particular regard to their security. Furthermore, we analyse respondents’ perceptions of the possible impact of a wireless attack on the air traffic control system, from both a safety and a business point of view. We deepen these insights with statistical analysis comparing five different stakeholder groups: pilots, air traffic controllers, aviation authorities, aviation engineers, and private pilots. We thank Rui Pinheiro for his input on the survey design and all things air traffic control and Kasper B. Rasmussen for his point of view as a private pilot. Question 1: What is your current line of work? Question 2: How long have you been in your current line of work? Question 3: In what country is your current work based? Answer options: 249 global countries. Question 4: What aircraft type(s) are you most familiar with? Question 5: In general, how would you judge your knowledge of air traffic comm. technologies? Answer options: 5-point Likert scale, 1 = Very bad, 5 = Very good. Question 6: Which of these specific air traffic communication technologies are you familiar with? Answer options: List of all 15 technologies, 5-point Likert scale, 1 = Very familiar, 5 = Not familiar (but heard of it). Separate option ‘Not heard of this technology’, also covering all following questions. Question 7: Which of those technologies do you rely on in your work? Question 8: How would you rate the trustworthiness of information derived from these technologies against intentional manipulation by a malicious party? Answer options: 5-point Likert scale, 1 = Very insecure, 5 = Very secure. Question 9: How do you rate the likelihood that a malicious party injects false information into these technologies? Answer options: 5-point Likert scale, 1 = Very unlikely, 5 = Very likely. Question 10: How would you rate the impact on flight safety by false information injected by a malicious party into each of these technologies? Answer options: 5-point Likert scale, 1 = Not severe, 5 = Very severe. Question 11: How would you rate the business or monetary consequences of false information injected by a malicious party into each of these technologies? Assume no direct safety incidents. Comment 1: Have experienced external parties checking in and disturbing on actual air traffic control frequencies, fortunately without any serious consequence. Comment 2: New RPAS/UAV threat could ease both jamming ATC to pilots communication, and spoofing ATC instructions. Mechanisms to authentify (and encrypt) controllers-pilots communication will become necessary. Comment 3: I do research in Mode S based systems. I think they are by far too easy to attack. Problem is that my company [an ANSP] is very closed-minded and not open for any help or suggestions to improve their systems. Existing problems are not recognized (missing Know-How) or are ignored intentionally. Actions are taken AFTER regulations are released by authorities (ex: Eurocontrol). I think, a lot of huge companies behave this way to save costs. EU is very strict in expecting air traffic service providers to reduce costs. So the main target of this research should be informing these authorities about the problems (not directly industry or air traffic service provider) to put them in a position being able to release necessary regulations to improve mentioned systems. Comment 4: This survey is grossly misleading and the construction of the questions pay scant regard to the real world. There are many examples of these episodes occurring, and having been involved with some of them, this survey misses the mark totally. Comment 5: Security is often considered as “just existing” investment is often stopped because management finds everything safe and above mentioned scenarios as too far fetched history states it different (9/11). Comment 6: VHF is an increasingly common comms signal to be maliciously emulated by non involved parties. Particularly on tower frequencies. Anyone can buy a transceiver without licence. Comment 7: I am a CPL working as a Flying Instructor on light aircraft. Consequently the impact of many of the technologies mentioned is limited for me. Comment 8: You need to talk to Air Traffic Controllers face to face if you genuinely wish to formulate meaningful questions; you must also understand the if an aircraft does not carry a transponder, it will not show on TCAS hence your questions are irrelevant. Comment 9: Commercially available drones are becoming more of a problem to general aviation. Those in control of the drones could deliberately endanger aircraft. Also the comms controlling the drones are susceptible to interference from terrorists. A potential development for airliners is the onboard systems overruling pilots thought to be deliberately trying to crash into mountains. If that is done by some remote override, the system needs to be robust against terrorists using that system and/or spoofing other navigation system information to remotely crash the airliner! I still prefer the pilot to be in ultimate control of where the plane is going. Comment 10: There are plenty of known occurrences in Europe where things go wrong on 1030/1090 MHz. In most cases, it is not an intentional issue, but the effects are there. Comment 11: I am not aware of any, other than spurious GPS during recent jamming exercises that were carried out, but this did not affect me directly. Comment 12: Interesting survey which hopefully will contribute to form basis for future contingency policy on Aviation/ATM Security. Comment 13: ADS-B has to be secured in case it becomes the primary means (and it will!). Comment 14: In my point of view this study, is a very important area of research as a malicious attack on Aviation Technology can cause severe damage, and the entire aviation community should work together to enhance Security in aviation. Congratulations! Well done. Comment 15: From the way you asked your questions and what you asked you should not expect to draw scientifically sound conclusions from the questionnaire. Comment 16: As a human factors and system safety researcher, if a student of mine proposed a questionnaire such as this, there would be discussion about its limitations and council not to field as is. I can see not valid data being generated – it will lacks authority and credibility. Comment 17: Updates on navigational aids e.g. running SkyDemon on an iPad using an external GPS. I recently carried out the iOS update on my iPad which had bugs which then did not allow SkyDemon to recognise location date being transmitted by the external GPS. All flights then were solely carried out using traditional charts!!! Comment 18: That government which governs least, governs best. That ATC system that controls least, controls best. And is the most secure. More see and avoid, not more computerize and avoid, is not only safer, it is more secure. The enemy can outmaneuver us better if we are not looking. Patrol vigorously, less reliance on gadgets. I have been to many airports that lock pilots out of the ramp but don’t even have a fence to keep a terrorist to set up on the end of the runway with a Stinger. Comment 19: A general lack of appreciation, ignorance and complacency surrounds the vulnerability of civil aviation comms. Comment 20: RC comms with multirotor RC aircraft seem a more likely route to attack than aviation specific comms. Comment 21: Sorry, but the questions are phrased rather badly. Are you pilots? Comment 22: I’m amazed that we still rely on the systems that we do. Even simple things like VHF. They’re not secure, but they work and the cost to improve them is likely unmanageable. Hopefully laws will continue to work in preventing nasties. Comment 23: Impact on automated operations is different - all the systems today are human mediated. Comment 25: Need to make portable ADS-B out units assigned to a specific pilot with a encoded id an option for small private aircraft for a reasonable cost. Comment 26: Silly survey questions. Adapted from a internet-like cyber security. Remember aviation is behind by 30 years! Comment 27: Similar to pen testing in my industry (IT Security), can it be attempted to prove that hacking into the on-board system will not mean access to the primary flight controls (A/P). It would calm the travelling public, if that be undertaken by an independent/academic institute. Comment 28: The writer needs to understand aviation technology a little better before embarking on a piece of work like this. Comment 29: Some of the questions might have been worded better....perhaps should have run them past a pilot or controller first, or maybe even used some risk analysis from an aviation SMS. Just a thought. Quite interesting possible concepts though...the only time we really experience malicious interference is on VHF, and that, thankfully, is rare where we operate. Comment 30: Many questions not comprehensible to simple private pilot. Comment 32: Not so sure as a private pilot if I help in this survey, perhaps those with an IR and above [are] more helpful. Comment 33: You are missing FPL comms.